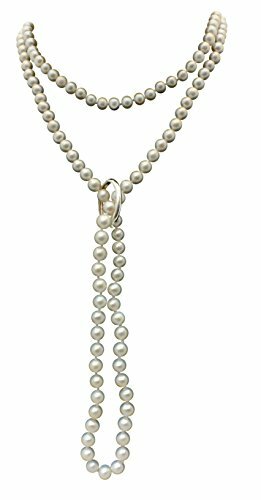 Pretty, elegant and amazing value - a beautiful shanghai style single strand 6-7mm Cultured Pearl necklace. This is a versatile 1.35 metre long 'continuous' Cultured Pearl necklace with no clasp that can be worn long 1920's style or wrapped twice around the neck with one strand worn long and one worn short. This pretty necklace would make a perfect gift for any occasion. Ideal for: fashion, birthdays, informal/formal, valentines, wedding and anniversaries. The necklace comes in a pretty faux silk pouch with a gift card and care of your Cultured Pearl guide. If you have any questions about this product by Pearls Paradise, contact us by completing and submitting the form below. If you are looking for a specif part number, please include it with your message.